Product prices and availability are accurate as of 2019-04-23 23:11:12 UTC and are subject to change. Any price and availability information displayed on http://www.amazon.com/ at the time of purchase will apply to the purchase of this product. Made from insulating and protecting flexible soft plastic material. 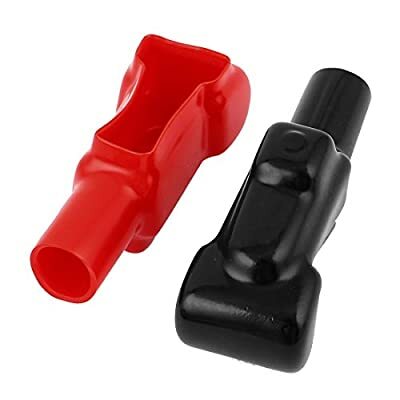 Protecting Insulating covers for battery terminals, the covers easily wear after crimping the terminals. The sleeve prevents entry of dust from the cable end. Widely used in electronics, communication equipment, household electrical appliances, automobile, motorcycle, etc.